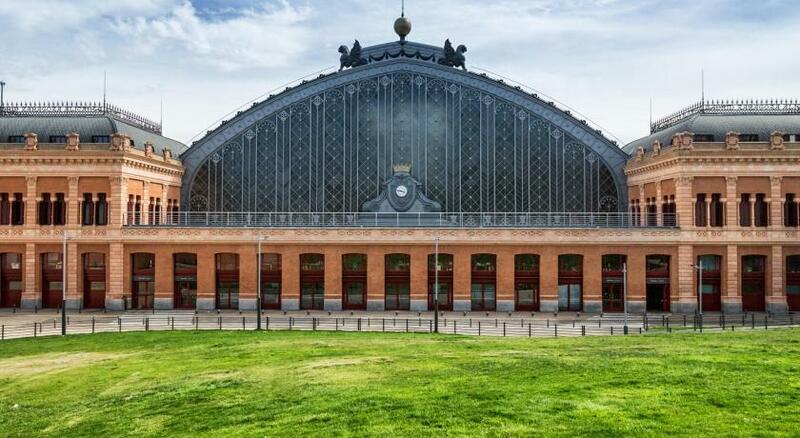 Location can’t be beaten for its closeness to Atocha station whether you’re traveling your train or coming from the airport. Proximity all the main sites is great - I walked everywhere. If you want to catch the metro or bus there are many near by. The “no frills” set up suited me as I was out all day and the room size and amenities were adequate. Reception staff were very helpful, friendly and courteous. Excellent location. 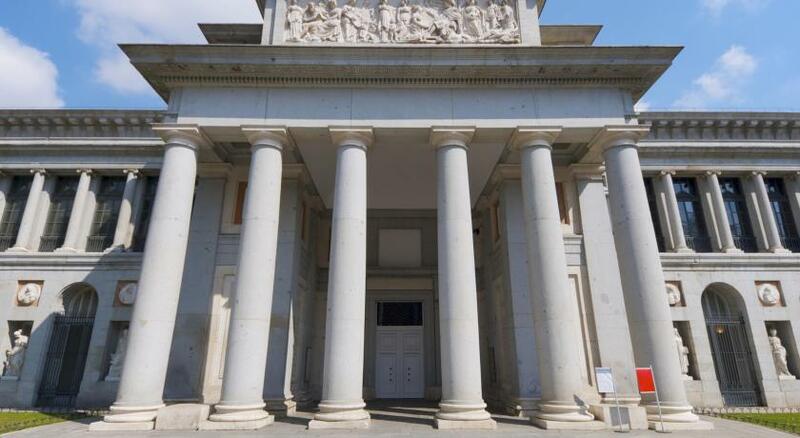 Easy walk from the Atoche train station, and the major city plazas as well as the Prado museum were about a 15 minute walk away. Room was clean and reasonably comfortable. No breakfast, but tea and coffee always available in the lobby. 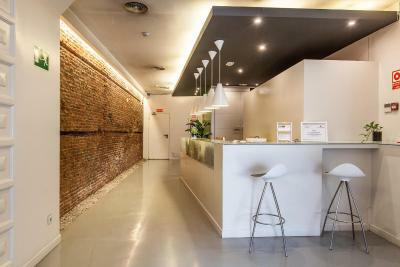 Nicely located near Atocha. Rooms were very comfortable. The staff were very helpful and speak perfect English. Little cafe with biscuits was very nice. 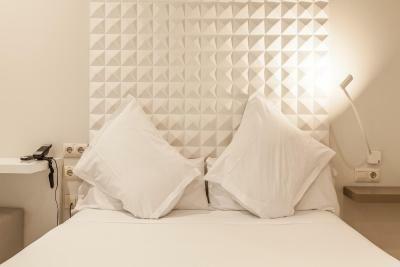 Staff is very helpful and room are cleaned everyday. 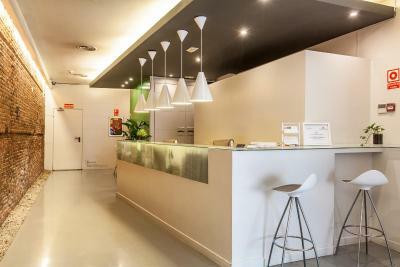 Friendly, helpful staff, comfortable room and very convenient central location near major attractions like Prado Museum. Location is great. 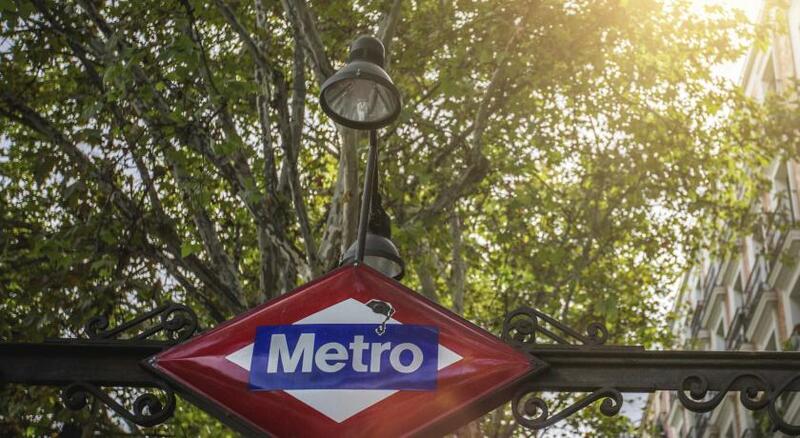 10 min walk to the central train station, Prado Museum, botanical garden and Madrid "central park". 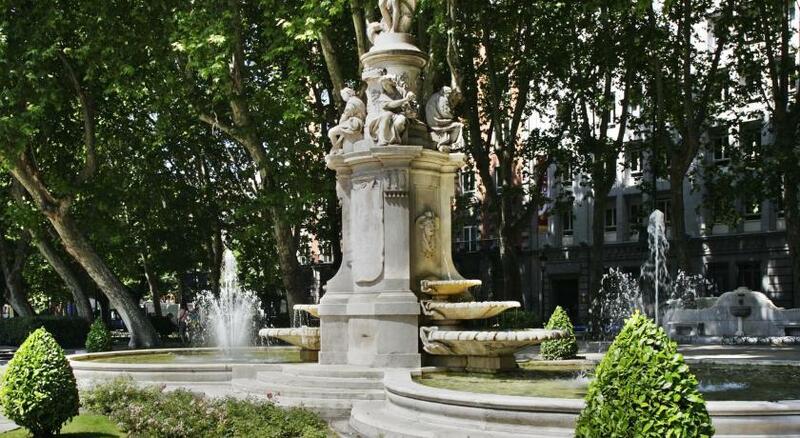 20 min walk to the cathedral, Spanish plaza and royal palace. You can also find a lot of local restaurants in the area, cheaper and better quality compared with tourist oriented restaurants. I extremely like the mattress, which is much firmer than most American mattresses and good for tiring bodies after a day of walk. The balconies facing the street is also nice to have. The windows are extremely sound proof. Staffs also helped us plan the 2 days we had in Madrid. 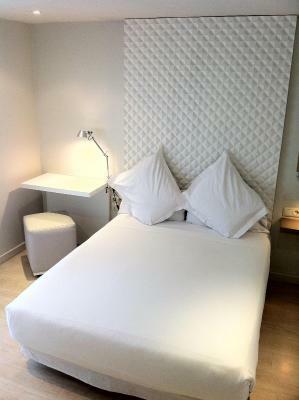 Great location, very close to Atocha station, you can go walking to the Retiro Park, Plaza del Sol, lots of museums. That’s is also lots place to eat, supermarket. It also has coffee, tea and water any time at the lobby! Location is excellent, staff friendly and efficient, and facility clean and modern. 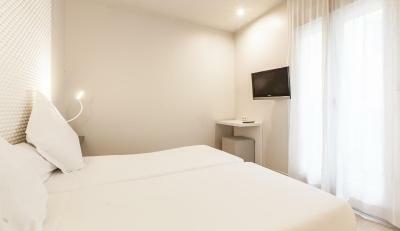 Good location and clean and comfortable rooms. Loved the free coffee and cookie station and the rooftop terrace. Room was ready before check-in. 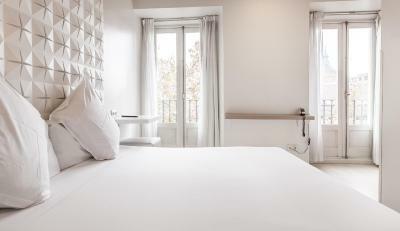 Urban Sea Hotel Atocha 113 This rating is a reflection of how the property compares to the industry standard when it comes to price, facilities and services available. It's based on a self-evaluation by the property. Use this rating to help choose your stay! One of our best sellers in Madrid! 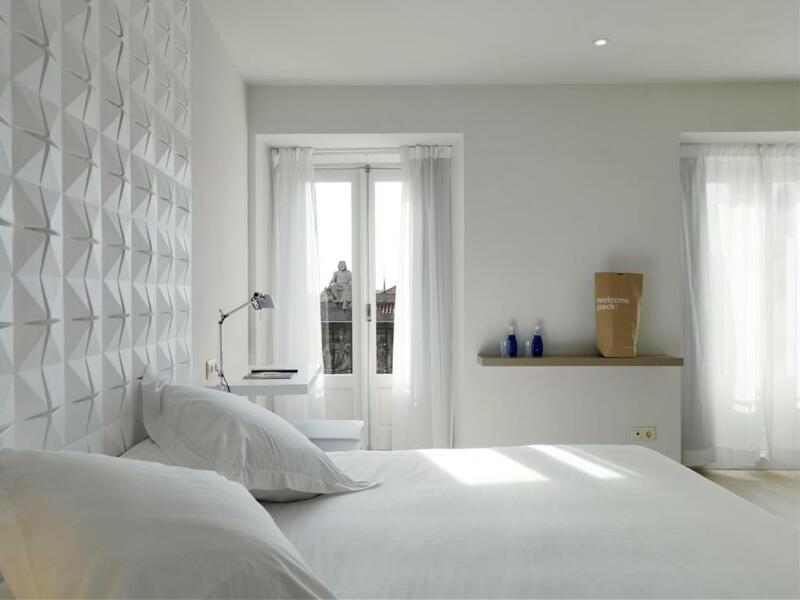 The Urban Sea Hotel Atocha 113 is a modern and minimalist hotel is located next to the lovely Retiro Park, less than a 10-minute walk from Atocha Station. It features a rooftop terrace and free Wi-Fi throughout. 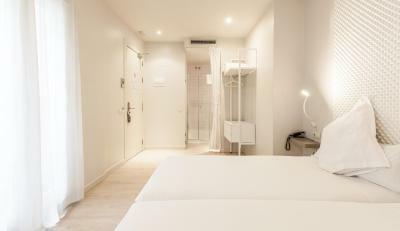 The air-conditioned rooms at Urban Sea Hotel Atocha 113 feature stylish décor in white with subtle hints of color and parquet floors. 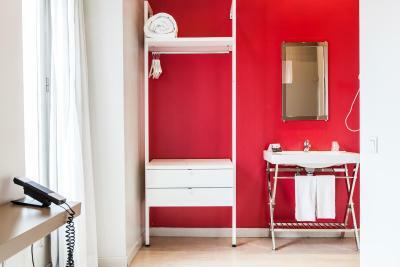 They include a flat-screen TV and a private bathroom with a shower and hairdryer. 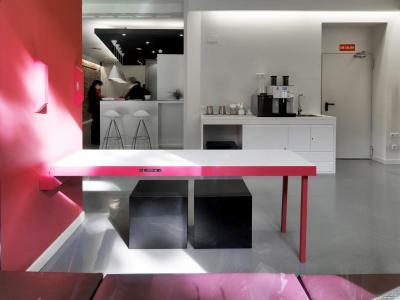 This designer hotel has a lounge area with free coffee and mineral water. Luggage storage and newspapers are provided at the 24-hour front desk. Guests can find many tapas bars, restaurants and shops nearby the hotel. 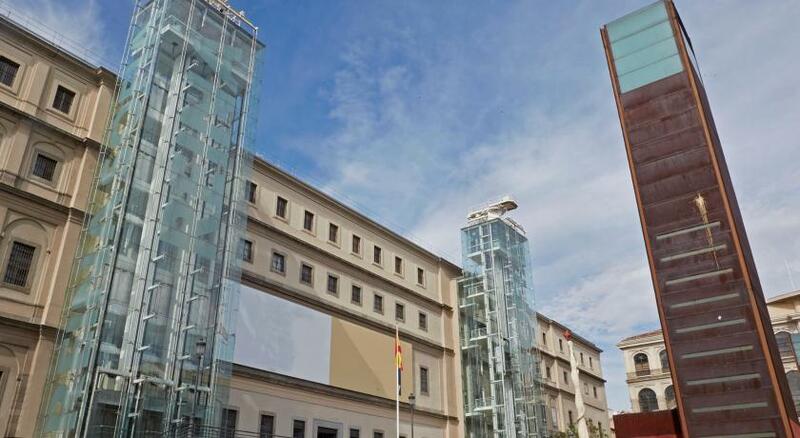 Positioned in the Art Triangle, the Urban Sea Hotel Atocha 113 is within a 10-minute walk of the Reina Sofía, Prado and Thyssen-Bornemisza museums. 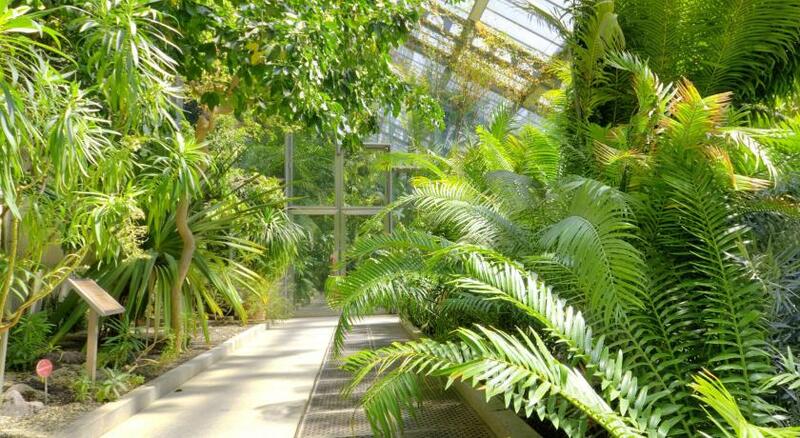 The Botanical Gardens are 650 feet away. 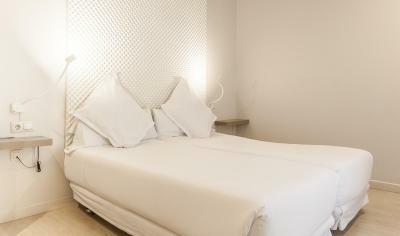 When would you like to stay at Urban Sea Hotel Atocha 113? 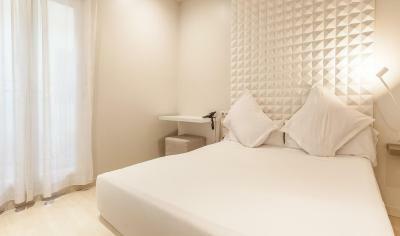 This more spacious, air-conditioned room features 1 double or 2 single beds. 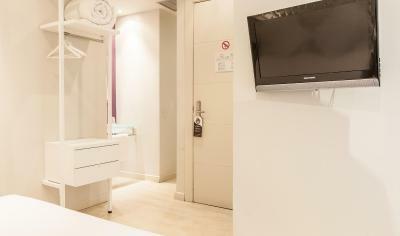 It has an private bathroom with shower and hairdryer, a digital TV with USB port and free WiFi. 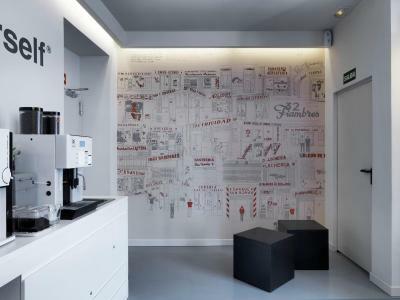 It also has a 24-hour self-service corner with free coffee, tea and water. 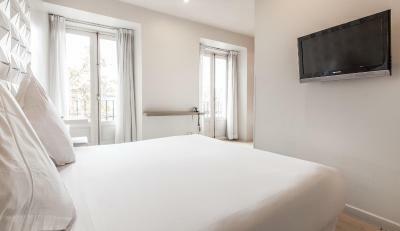 This air-conditioned room features one double bed. 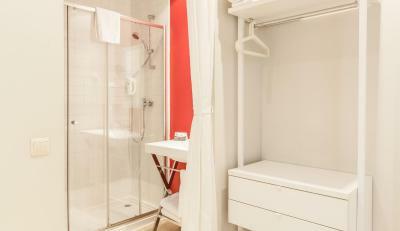 It has a private bathroom with shower and hairdryer, a digital TV with USB port and free Wi-Fi. It also has a 24-hour self-service corner with free coffee, tea and water. 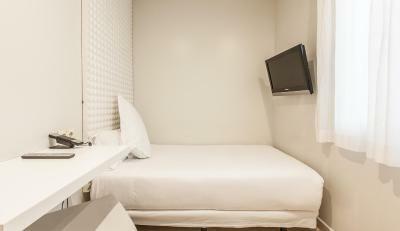 This air-conditioned room features 1 single bed. 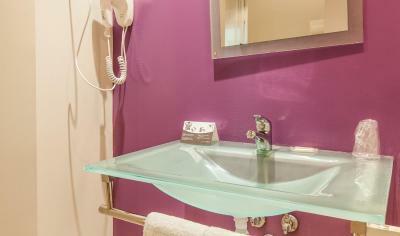 It has a private bathroom with shower and hairdryer, a digital TV with USB port and free Wi-Fi. It also has a 24-hour self-service corner with free coffee, tea and water. 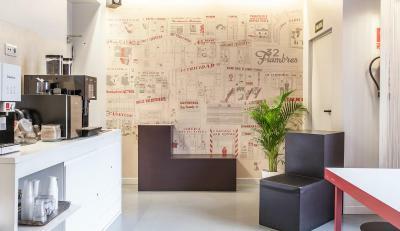 House Rules Urban Sea Hotel Atocha 113 takes special requests – add in the next step! 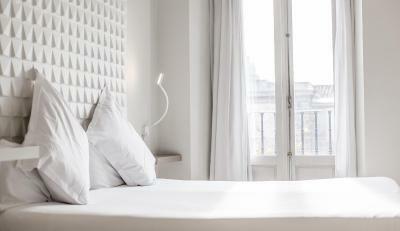 Urban Sea Hotel Atocha 113 accepts these cards and reserves the right to temporarily hold an amount prior to arrival. Please note that payment for the full amount of the reservation is due upon arrival. There is no noise from outside the hotel although it’s in a busy area. However I was woken up by very loud guests. It would be nice if some signs are shown for those not mindful that there are others in the hotel ! I believe it was expensive compared to the facilities. The single room was very small, and the bathroom did not have a door, and my room window did not catch sunlight. The location is walking distance for historical places, and museums. 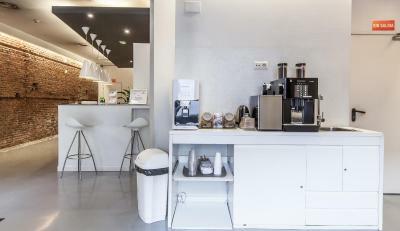 There is a coffee machine fro 24 hours that all guest may use for free. We had a room right on the street on the third floor and it was very noisy all night long even with all windows closed. Traffic, motorcycles, horns, and people talking on the street even at 3 and 4 am. The toilet area in the bathroom is very small. No breakfast available, but free flow of coffee, tee etc. Location is perfect. Very friendly staff! Room was clean, the shower is perfect. 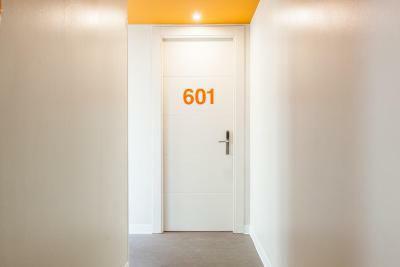 Open doors to the street side, but no noise pollution due to good insulation! 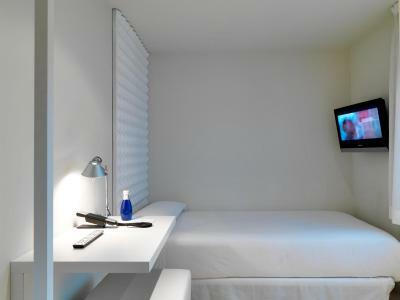 Urban Sea Hotel Atocha 113, highly recommended! The room could have been cleaner. Dust on the planks, hairs in the bathroom etc. General maintenance of the room and terrace was lacking a bit. The location is excellent. Close to the station and within walking distance of the old city center. Staff has been nice and helpful to us as well. Spacious room close to rooftop terrace. The rooms are tied, beaten up and are don't really justify the 80 euro per night price tag - I;ve stayed in better places for similar. My double bed was two singles, one of which was lower and in terrible condition. The shower was OK, but it;s just past is date and is in desperate need of a renovation. floor panels were damaged and coming up, walls badly paints. I only used to room to sleep in, which most people would in the centre of Madrid, but this is not the best place to stay. The room is extremely small as well as the shower and toilet. Most all the fixtures were in need of repair so obviously the owners are taking short cuts. The room is extremely cold as you are basically in an all white environment. I travel a whole lot around the world and in over 40 years of business travel this is the 2nd worse place I ever stayed. Honestly there is not much to like which is unfortunate as I like to keep things as positive as possible. The location is quite good.